A suspicious number of symphonic composers, including Beethoven, Schubert, and Bruckner, have died shortly after completing their ninth symphonies. Apparently, this fact had Gustave Mahler rather nervous, delaying his own ninth as long as possible, eventually completing it in 1911. Of course, he died shortly thereafter. 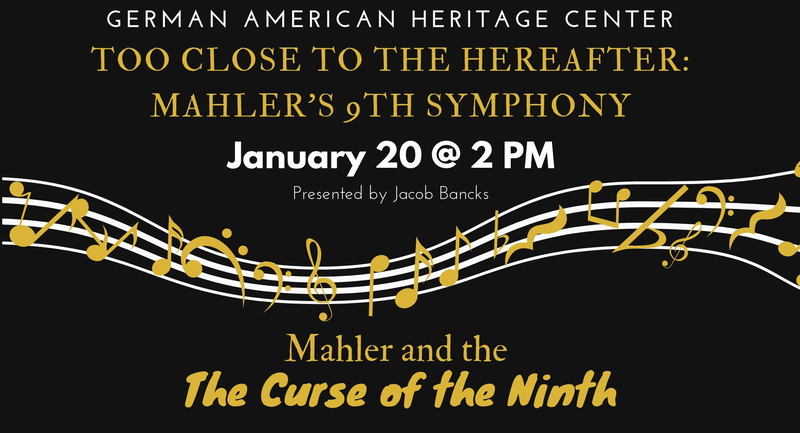 In this lecture, composer and Augustana professor Jacob Bancks will discuss Mahler, the “curse of the ninth”, and provide an overview for listening to his glorious ninth symphony which is to be performed by the Quad City Symphony in February.